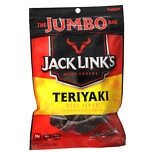 Shop Jack Link's Beef Jerky Teriyaki (2.85 oz. )2.85 oz. 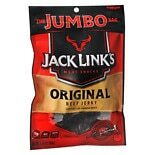 Shop Jack Link's Beef Jerky Original (2.85 oz. )2.85 oz. 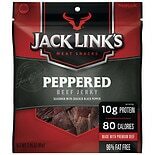 Shop Jack Link's Beef Jerky Peppered (2.85 oz. )2.85 oz. 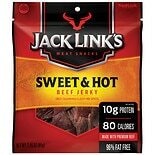 Shop Jack Link's Beef Jerky Sweet & Hot (2.85 oz. )2.85 oz. 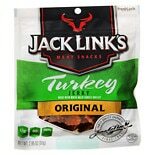 Shop Jack Link's No MSG Turkey Jerky Original (2.85 oz. )2.85 oz. Shop Jack Link's Beef Jerky Original (5.85 oz. )5.85 oz. $999$9 and 99 cents$1.71 / oz. 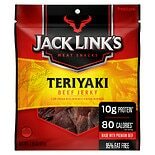 Shop Jack Link's Beef Jerky Teriyaki (5.85 oz. )5.85 oz. 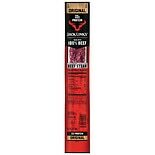 Shop Jack Link's Beef Steak (2 oz. )2 oz.